The time has finally come! In the last weeks you were already impatient and the question when the Suunto Sync will finally go online has reached us several times. Now we can finally say: It’ live! 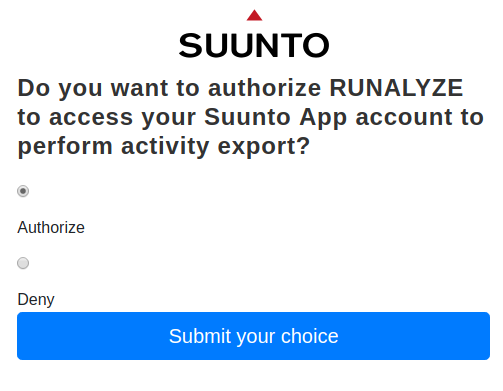 Suunto users can connect their RUNALYZE account with the Suunto App now! We are proud to say that we are the first officially productive users of the new Suunto API! If you should notice any problems, please contact us via the well known support channels. A big thank you to the Suunto team for nice and fast communication during the last weeks! 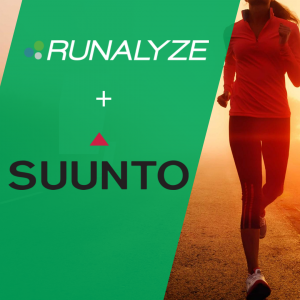 And don’t forget: Tell your Suunto friends that RUNALYZE is now analyzing their activities automatically. Can I synchronize my Movescount history to RUNALYZE? Well, yes – in a manual way. Please create a Data Export at Movescount (http://www.movescount.com/settings#export) and send it to mail@runalyze.com and mention your username. We will import your activity history for you into your account. This problem is well known. Within the next two weeks we will fix that problem which happens when importing the activity. The fix will be only valid for future activities. But there is a setting for interrupting the routes: Go to Configuration > Activity View > Set “Map: interrupt route” to “never. 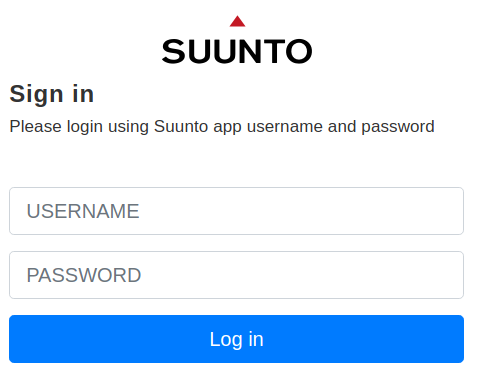 If you log in to the Suunto App via Facebook, you have to set a one-time password on https://www.sports-tracker.com/ so that you can log in to the Suunto log-in form with your username and password. We have already contacted Suunto about this. They will hopefully support the direct Facebook login soon. My Suunto watch is not yet compatible with the Suunto App. Do I have another option? It depends: If you have an iOS device, you can use the Rungap app to synchronize your activities from Movescount to RUNALYZE. Suunto is trying to find a solution for this. As long as no solution has been found, the Movescount platform will continue to exist. Can I synchronize my Movescount activities? No you can’t. Suunto will discontinue the Movescount platform in summer 2020. In spring 2019 it will be possible to transfer your data from Movescount to the Suunto App. How can I disconnect the connection to Suunto? Click on “Remove connection”. That’s all. Can I synchronize my entire activity history? Yes, use the “special tool”. Checkout the features of RUNALYZE and go ahead and create your account for analyzing your activities at RUNALYZE.com for free. or support us by buying a RUNALYZE shirt at shop.runalyze.com> or buy things/gifts at amazon.de or at amazon.com. Well… You make my month!!! I’m currently some Suunto user and the link between Suunto App and Runanalyze is some really really cool feature. I tested before the import of some Suunto’s movescount fit files but was always confronted to some ascent / descent problems (ascent calculated by runalyze hasn’t the same value as on my watch or movescount or Suunto app). So i was waiting for the capability to direct connect Suunto App with runalyze to expect some correct importation. – on runalyze after syncing : 531 m for elevation up and 208 m for elevation down !!! Elevation wasn’t corrected (GeoTiff) and i turned this parameter on : better results with some 243 m up, but not equal to the values given by Suunto or TrainingPeaks. Douglas-Peucker-Algorithm. with some different values from 1 to 10. What is the best to be the closest possible to Suunto’s values ? Or, …, is there a way to transfer these ascent / descent values direct from Suunto to runalyze ? This is possible for TrainingPeaks, will it be possible for runalyze ? It’s some crucial feature for all sports in which climbing id present (mountain biking, trail running, trekking, …). Concerning elevation data and ascent/descent: We will probably not change our methods here. Yes, it is right that the fit file contains the total ascent/descent, but we do not use this. We support various vendors and most of them do not state the total ascent/descent and even if they do: We don’t know how they have calculated the values. In contrast to all those companies, we are transparent about our calculations (you can even choose the algorithm and thresholds). In addition, when changing the elevation profile or calculating stats for single segments (e.g. climb score) we need to calculate our own values anyway – and those should be consistent to the overall ascent/descent. By the way. Just go in the activity view to “Tools” > More about elevation. You will get the information which algorithm and value will be the closest to Suuntos values.